More often than not, your new car will come with factory defects. This is due to a handful of things whether it’s an untrained employee, or an unfortunate incident in the building or transportation phase. 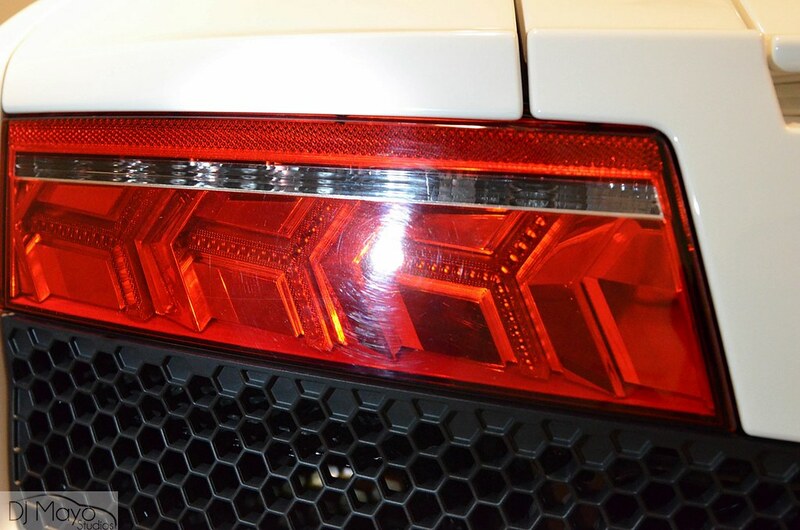 In most cases, these problems are caused from “over detailing”, especially on your more expensive vehicles. Factories and dealerships attempt to prep the cars for customer pickup but end up doing more damage than good. 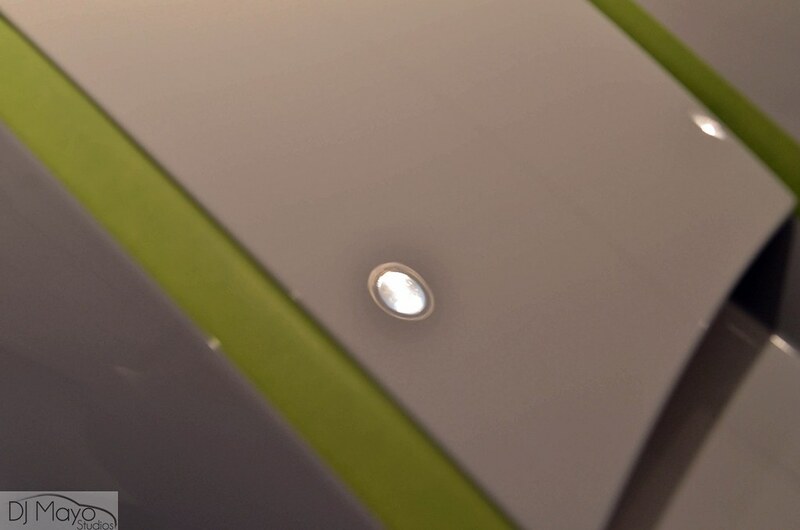 The other common problem is when something more serious happens during the building and transportation phase it becomes a “quick fix” and results in paint not matching, uneven amounts of clear from panel to panel, dull areas of sanding marks, and even at times thin edges where precautionary steps were not taking. Although a lot of this can not be avoided, remember when purchasing a new car, please inform that you would not like the car prepped and you will take it as is. 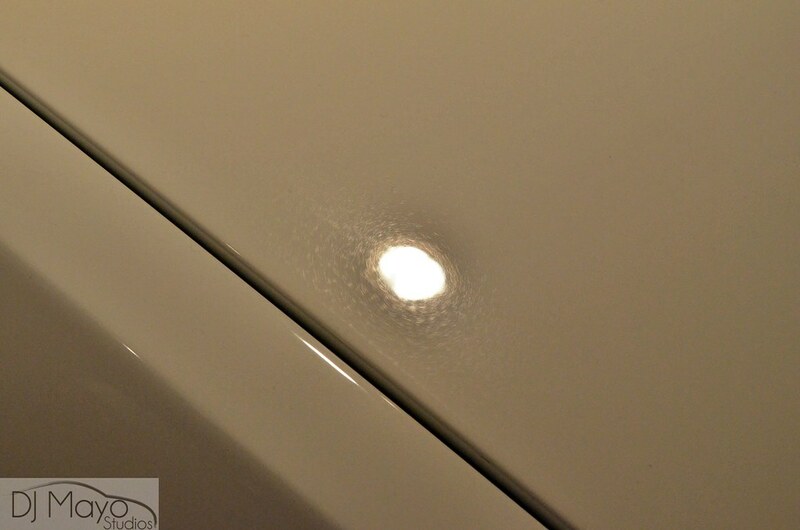 Doing this step and sending immediately to your paint correction expert will start the vehicle off the right way. 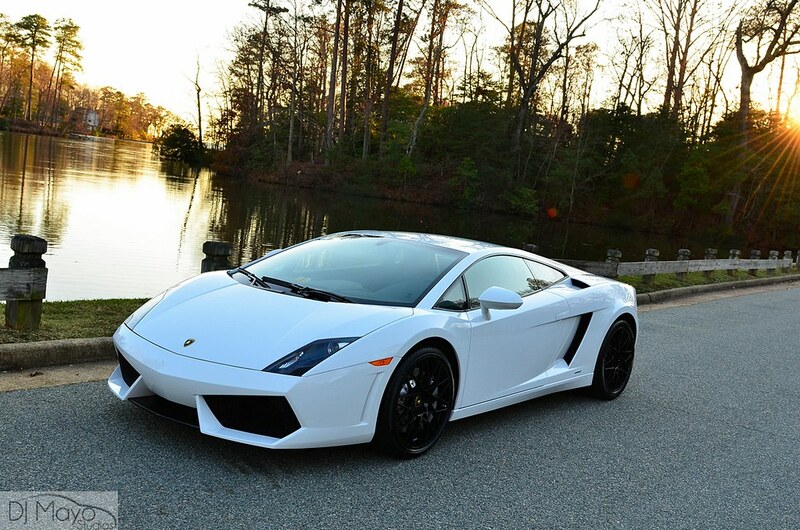 For several well respected guys, it’s not uncommon to have new cars that come in for this service before the owner ever takes delivery of their new purchase. 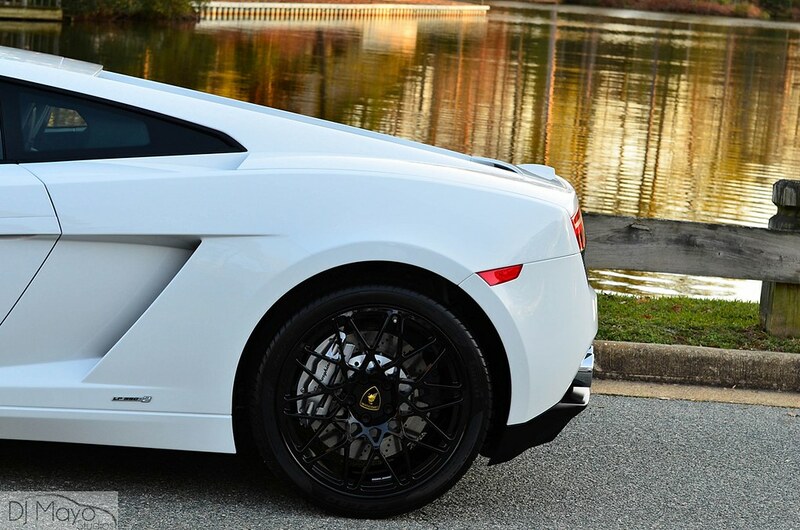 For example, let’s take a close look at this brand new LP550. 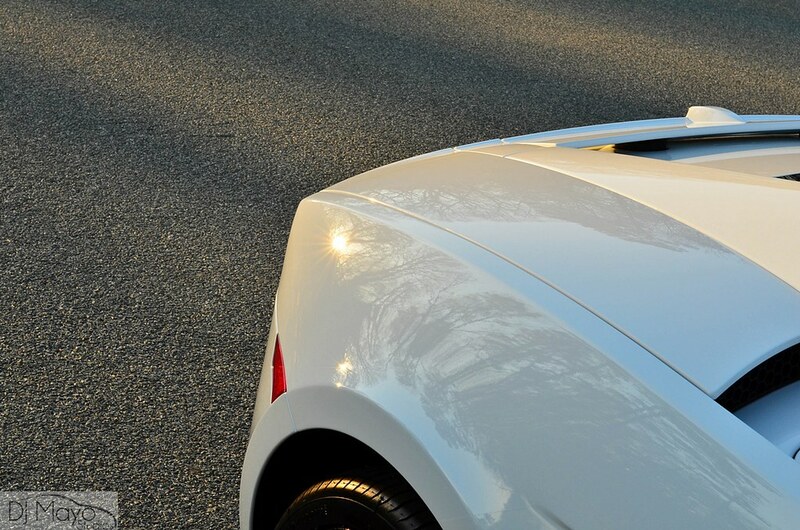 Even with the car being white these defects take away from the gloss and the overall appearance of the car, not to mention driving new owners crazy knowing about the problem areas. 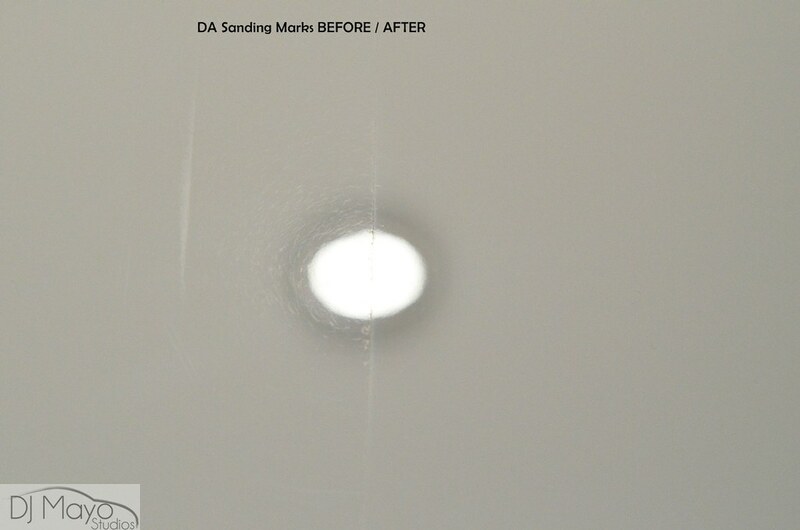 After measuring the amount of clear, I proceeded onto the test section as always to find the least aggressive method that allowed for complete correction of the sanding marks and other defects. Also notice the very strict tapeline on the edge. Since the sanding marks were right up to the edge, that tells that the sanding was done while overlapping the edges with no caution. Sometimes you have to tape, correct the area, then re tape the opposite side to correct the area that was tapped first. 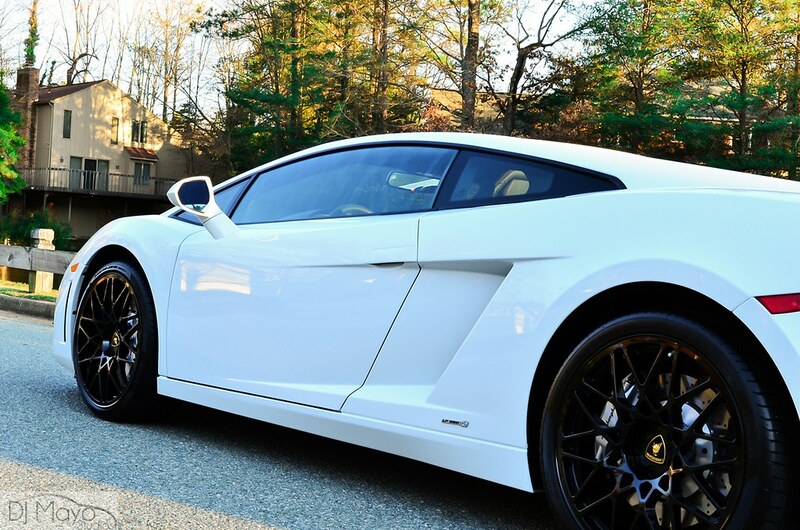 The transformation in person was a completely different white that was now up to our standards. 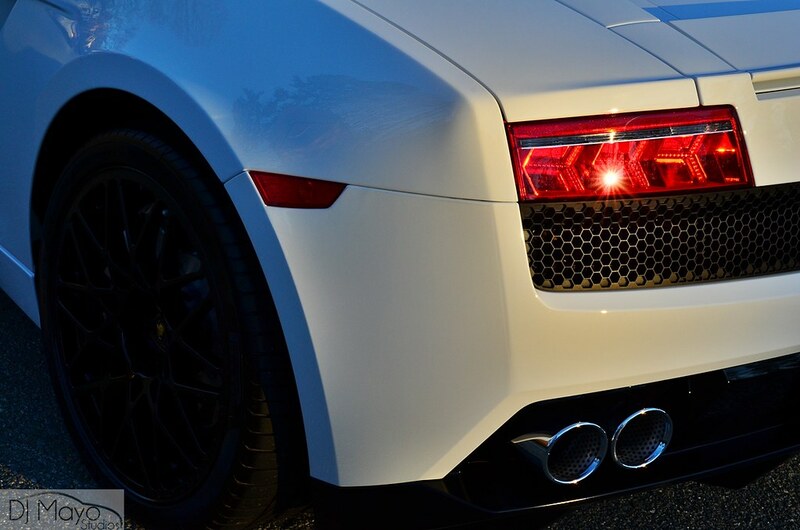 Also be sure to check your tail lights, they always benefit from the same treatment that is used on the paint. Lights before. 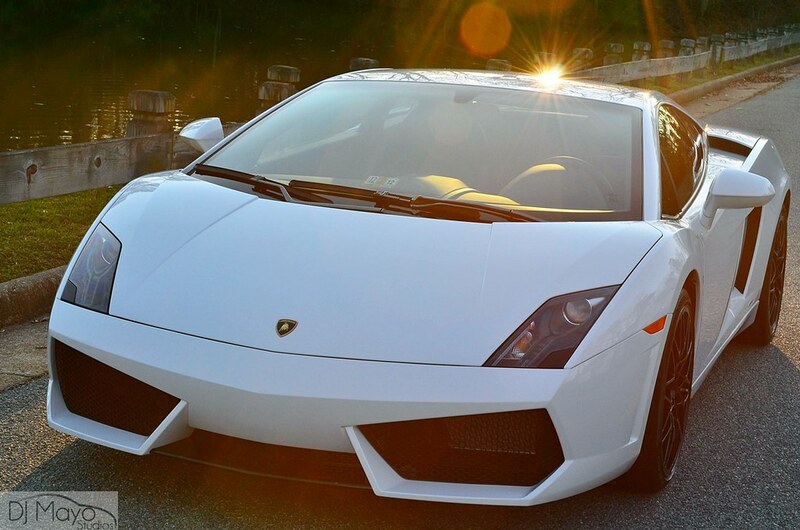 The overhead studio lights were perfect for spotting the defects in the white Lamborghini paint. 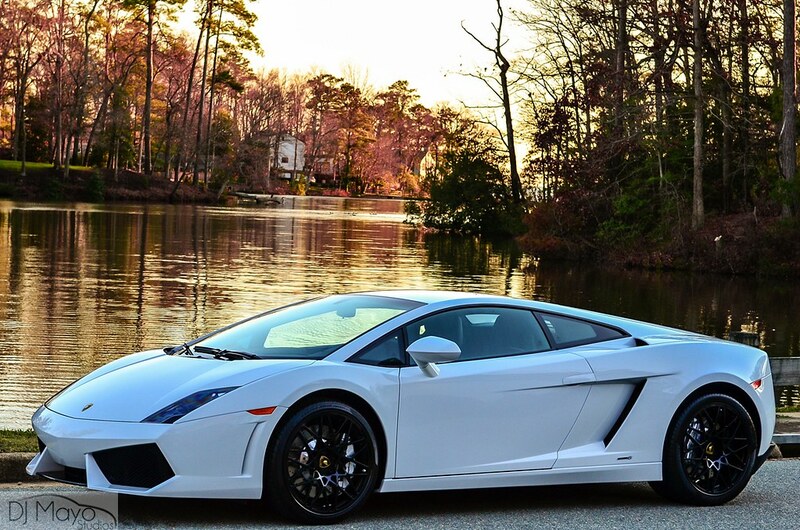 Now with the beautiful area I was in, I knew the surroundings would make for some great after photos. Please enjoy and feel free to share with your automotive forums and social media! 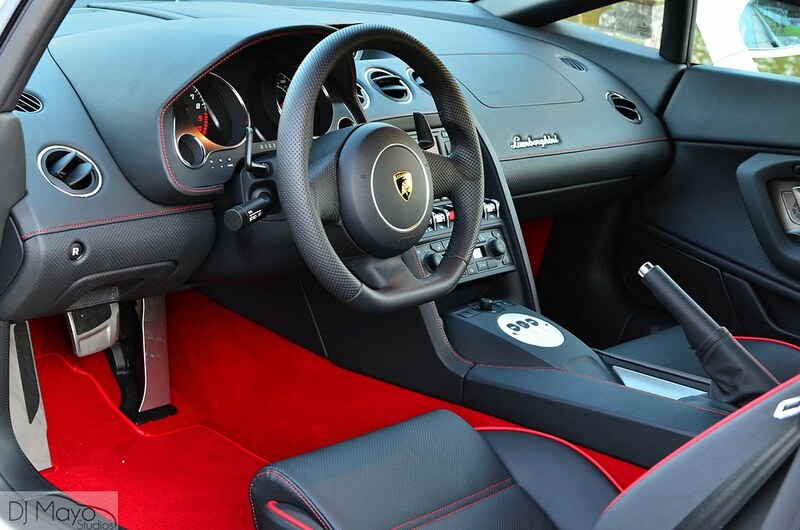 The interior was only giving a quick wipe down and interior glass treatment. A special thanks to Eric Schuster for the referral and my close friend and part time help Kyle Benton. If you or anyone else has any questions or comments, please reply in the comment box below, thank you! 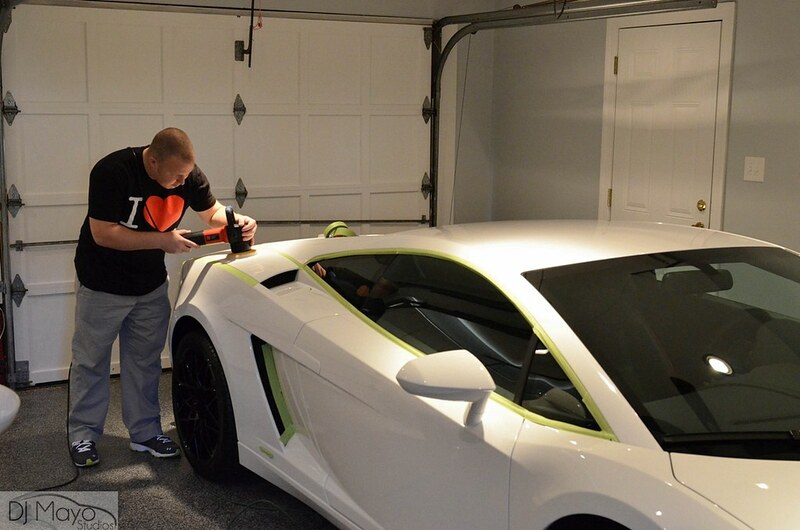 Nice write up DJ.any of the leveling process require wet sanding.Lambo got pretty hard paint? The paint was on the harder side for sure but no wet sanding was required. There were several spots however that needed multiple passes of heavy polishing though. Thanks for looking! 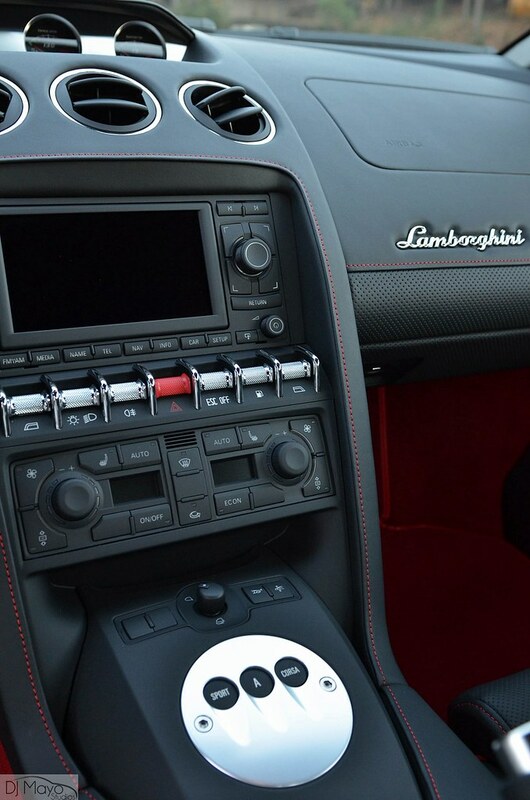 How many hours of correction would you say spent on the Lamborgini ? Nicely done and another job tackled by DJ Mayo! 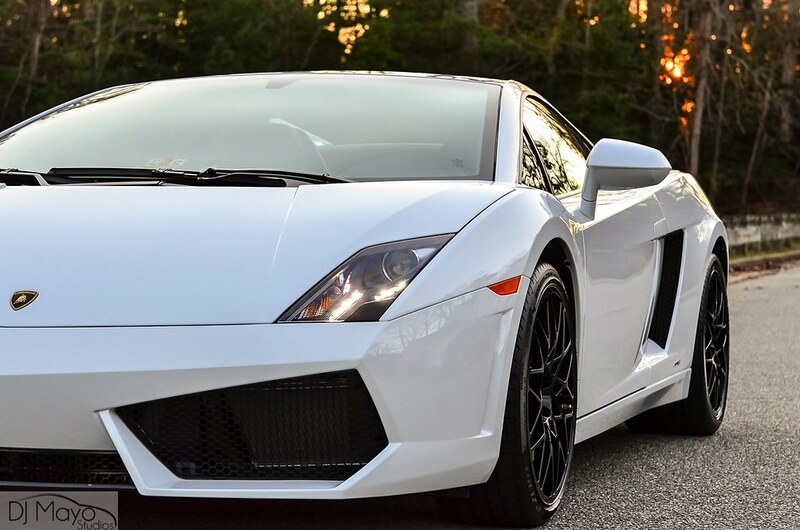 I surely enjoy getting in “new” cars to get them started on the right foot, and I know owners (like that of this beautiful Lamborghini) enjoy making sure their vehicle not only looks perfect, but is easier and quicker to maintain as well. Great work DJ. 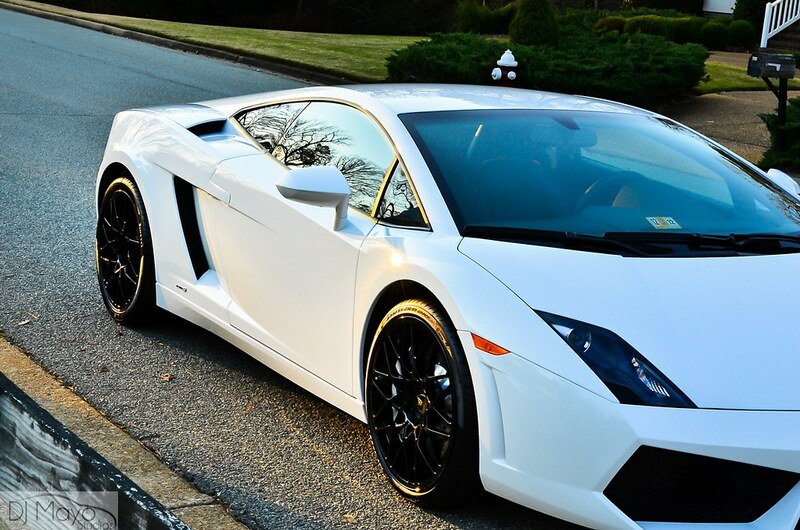 I’m seeing the same thing here in the Chicago area, whether it’s Ferrari, Porsche or Honda. It’s unfortunate but at least there are guys like yourself who care to make it look perfect as it should be! Great job Ivan. What brand DA are you using in that picture? Thanx Tomato, it does look like a griots. And my bad I meant dj not Ivan great job. 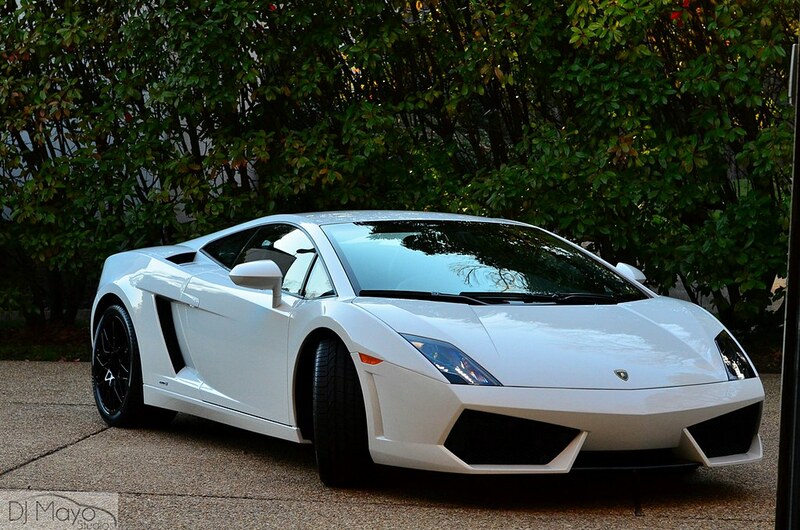 Great job of bringing that Lamborghini up to the level it deserves…it was definitely in the right hands. DJ, thank you again for the fantastic work on my car, the first of many I’ll have you do. I kick myself for not seeing the DA sanding marks when I took delivery, but once I got it home under the lights they became quite apparent. Fortunately, it’s a correctable issue if you know the talented individuals on this site. I’d also like to thank Eric Schuster for his time and referring me to DJ being here on the East Coast. For those of you who do the work that DJ, Eric, and Todd perform, I’m wowed by the process, it’s that impressive. For those of you who are contemplating if the process works and questioning if those imperfections in your paint can be eliminated, I personally vouch for it, and recommend you reach out to one of these guys. this question is for DJ. is there anyone in N.Y. that has your level of skill? i have a Starfire Pearl 2013 Lexus GS F-Sport. and i see a few clear coat scratches and some swirls. Shoot me over an email, and I will get you taken care of. I will actually be in NJ / NY over the next few days.